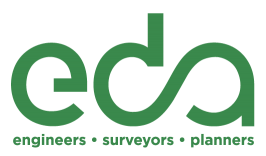 eda is excited to be part of the development team selected by the City Commission to bring a mixed use development to Lot 10 in downtown Gainesville, Florida. This project will include a hotel, restaurants, conference space and a rooftop entertainment area. Going to be a great addition to downtown! Read some of the details in this Gainesville Sun article. It’s been years since the city of Gainesville had a developer that was serious about building on the long-vacated downtown parking lot known as Lot 10. For nearly a decade, city officials were strung along by past developers who promised a sparkling transformation to the downtown area, only to have the project — for one reason or another — completely abandoned. But on Thursday, six city commissioners said they are confident they found the group that will get the job done. “We’re finally here,” Mayor Lauren Poe said. The commission selected local developers 1+1=3 of Gainevsille, along with a host of companies as architects, engineers, contractors and hotel managers to help with the project. Together, the team plans to purchase the lot directly in front Loosey’s Downtown Gainesville, on the corner of Southwest First Avenue and Second Street, from the city for $2.3 million. 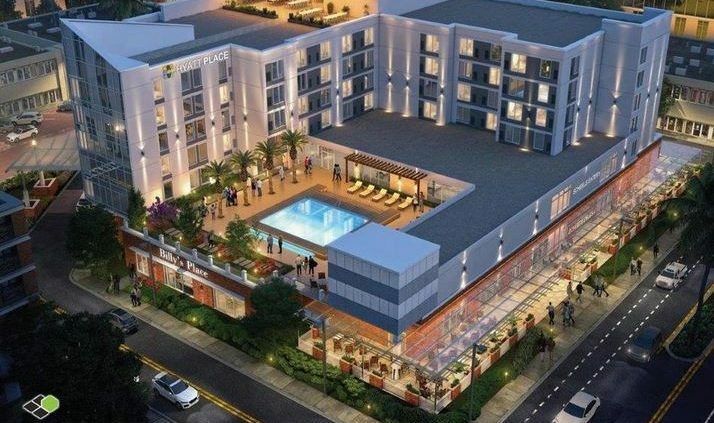 Once the groups obtain all permits and needed paperwork, it plans to construct a $26 million, six-story, 136-room Hyatt Hotel within two years. District 1 Commissioner Charles Goston, who attended the meeting, was absent for the vote. He did not respond to The Sun’s question asking whether he supported the selected development. According to the proposal, the District 1 development is expected to generate 189 full-time jobs and produce about $5 million in sales taxes for the city in 2020. A rendering of the structure details spaces for two restaurants, a rooftop restaurant or bar, three art installations and a meeting space of roughly 7,000 square feet. “I think it’ll be an excellent addition to downtown,” Commissioner David Arreola said. City officials have attempted to land a deal with a developer to build on the site for at least 10 years. Poe said the first project he ever approved for the site was Gainesville Green, but that project folded because of collapse in the economy. 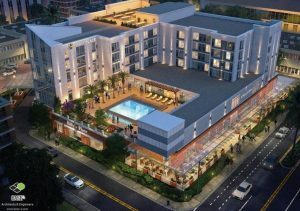 Most recently, commissioners offered the site to Nim Patel, a developer in Atlanta, who planned to build a $56 million hotel with a conference center. However, after several missed deadlines to give the city $125,000 and to file needed paperwork, the city canceled the agreement. Commissioner Harvey Budd said the city needs to figure out a solution for more parking, since he expects the development will draw large crowds. City Manager Anthony Lyons will negotiate the final deal with the development group before bringing the item back to the commission for approval.